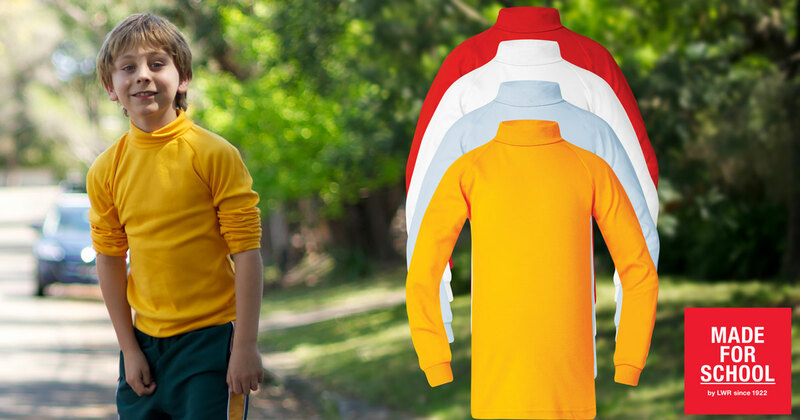 Our Nichols Classic Roll Neck Skivvy has been keeping Aussie Kids warm for decades and it’s easy to see why this is a winter wardrobe classic. This Winter Wardrobe Classic adds warmth to Winter School Uniforms without adding bulk. The Roll Neck lets the kids manage their warmth without the hassle of losing a scarf or adding uncomfortable bulk under school jumpers and jackets. Add one of these under a jumper, tunic, or a party dress and you can rest assured the kids will be warm all day long. Available in classic white, gold, red and light blue and available in kids sizes 4-16. Discover our huge range of quality Winter School Uniforms online at Made For School today. Enjoy the kids these holidays and soak up all the public holidays together. Skip the shops and jump online and order all the kids Winter School Uniforms at Made For School. You can enjoy Australia Wide Free Shipping from now until 5th May when you spend over $75. We’ve got everything to get you sorted and keep the kids and family warm and cosy all winter long. Check out our huge range of Track Pants, Jackets and Vests, Jumpers, School Shirts, School Trousers, Gloves, Beanies, Skivvies and more! Avoid the stores and shop in the comfort of your home or office. Shopping Quality School Uniforms has never been easier! Come on, let us WOW you. Bag a pair of our Thurgood feel good fleecy track pants and kick the holidays off in comfort. 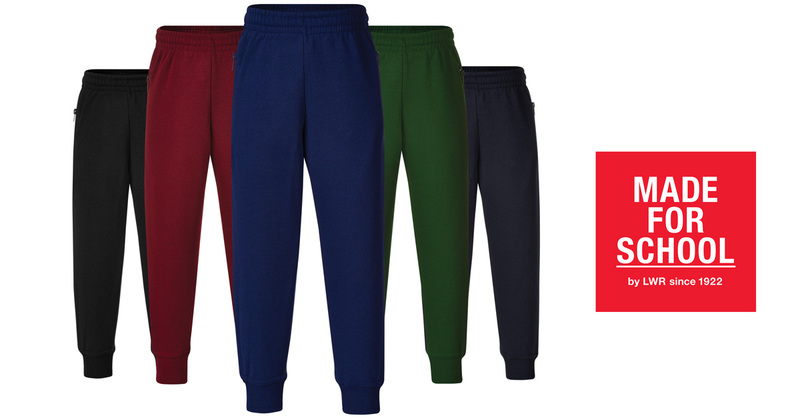 Made for warmth these cosy fleecy track pants will grow with your kids and cuff out the cold. Buy School Track Pants Online today! With the days starting with a chill, it’s nearly time to give in to the inevitable and pull out the winter warmers. 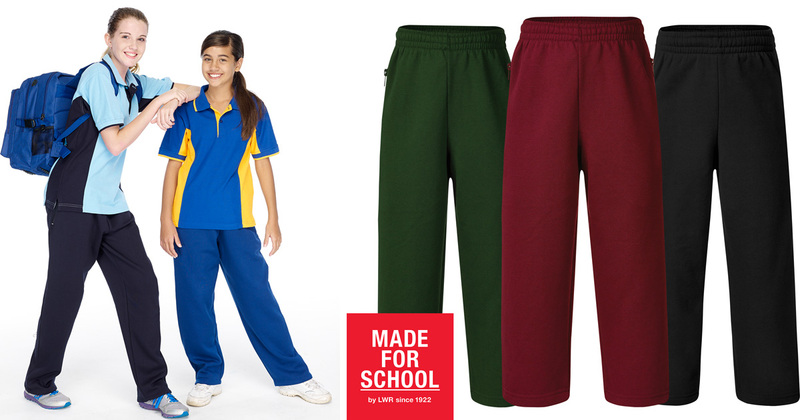 We’ve got a great range of track pants for school, sport and lazy days. Shop School Track Pants Online today! If you’re wanting some warmth to assist with warm-ups, then our microfibre range is just the thing. Soft microfibre track pants are lightweight, water repellent, easy care and easy wear! Their comfort lining will keep you warm from the inside whilst you look your sporty best on the outside. Needing a bit more warmth to keep Jack Frost at bay? Our Fleece range of Track Pants is just the thing. Made from a warm 310gm fleece, the whole family will want these for those early mornings on the sidelines for when you just need a pyjama day at home. 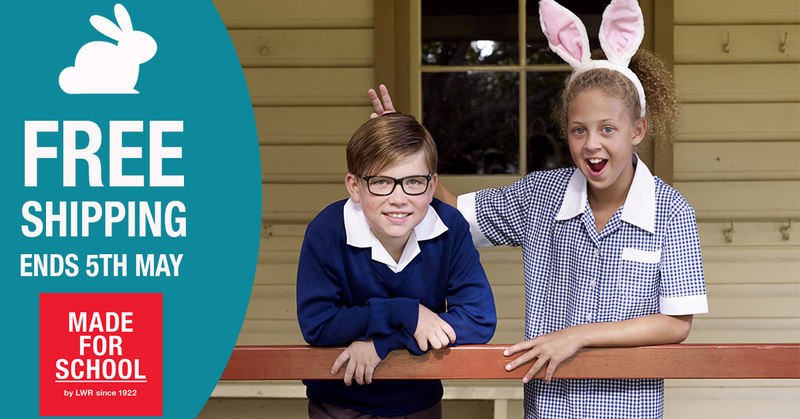 We’ve been dressing Aussie kids and keeping them warm through the past 97 winters, so if you’re after quality school uniforms, come and try us on for size. This easy slab cake was a hit with the family, and why wouldn’t be with Milo? If you’re after a no fuss, tasty crowd pleaser then give this a try. You can also substitute the milo for coffee for when you’re on morning tea duty at work. 1 tablespoon milo mixed with 2 tablespoons of hot water. Preheat oven to 180C and grease and line a slab tin (32cm x 23cm). Beat all the cake ingredients together at once and pour into the pan. Bake for 50 minutes or until a skewer placed into the middle of the cake comes out clean. Allow the cake to cool then beat the icing ingredients together and add cold water to achieve the right consistency. Ice the cake and cut into squares to enjoy. 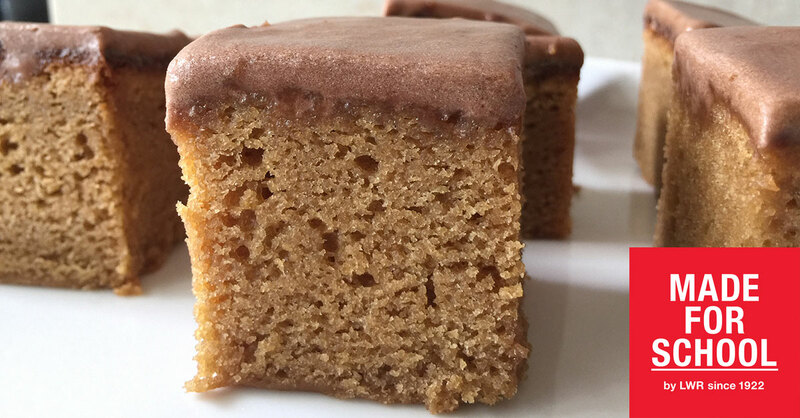 I cut this into squares and placed in the freezer for an hour to firm up the icing before popping it into a container in the freezer for when a special treat is needed. Homework is often loathed in this house by my son because he’d rather be outside riding his bike or playing with a friend and who can blame him? I’m always on the lookout for easy and fun ways to make homework go easier at the end of a school day so we can whiz through it and get into some fun before dinner. My son loves find-a-words so I have started to put his spelling words into a find a word and then he has to circle them and spell them. It’s super easy to do and you can do it whilst the kettle boils for that well-deserved cuppa at the end of the day. Head over here, enter your words and hit print. Secret words – use a white candle and write the words on a piece of paper, then colour over them with some water coloured with food dye. This one is lots of fun but messy so be sure to pop on the art smock first. What are some fun spelling word ideas you use at your place? 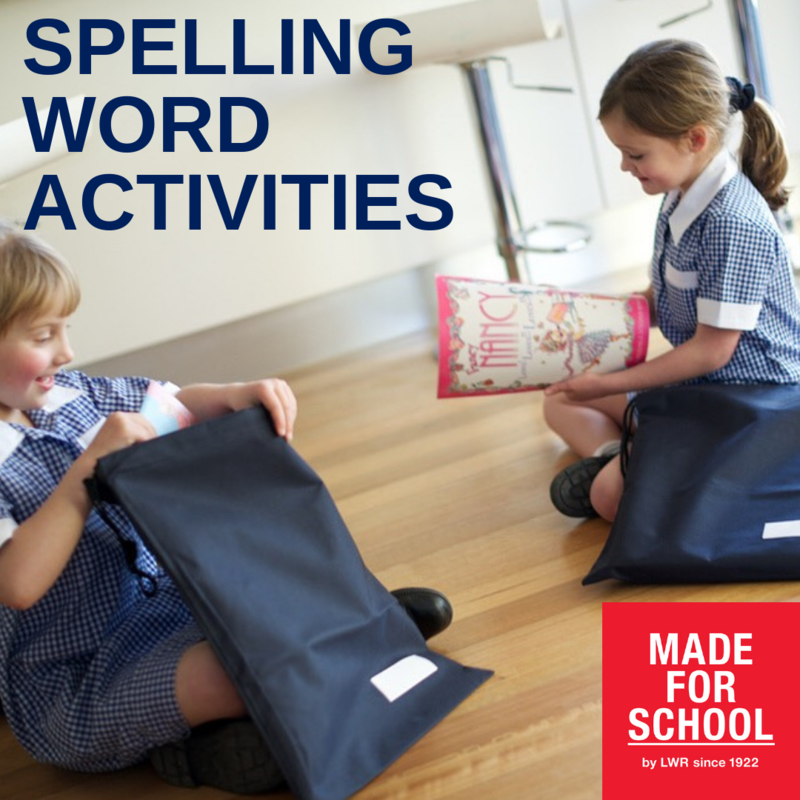 Here at Made For School we love making your life a little easier when you shop school uniforms online with us. Whilst we can’t come and tackle the washing pile or cook dinner, we would love to give you the chance to win a little something for yourself or the family. For the next week we are running a review and win competition and it’s much easier than a school assignment being completed at the 11th hour! We’d love to hear what your favourite products are and why you love them so much. Every time you write a review you will enter the draw to win a $300 gift voucher from Red Balloon! The hardest part will be deciding what to spend that on! To enter the competition, simply log in on our website, find your favourite products and write a review, simple! There’s no limit on the amount of reviews you can leave, you just have to complete them by 8th March. 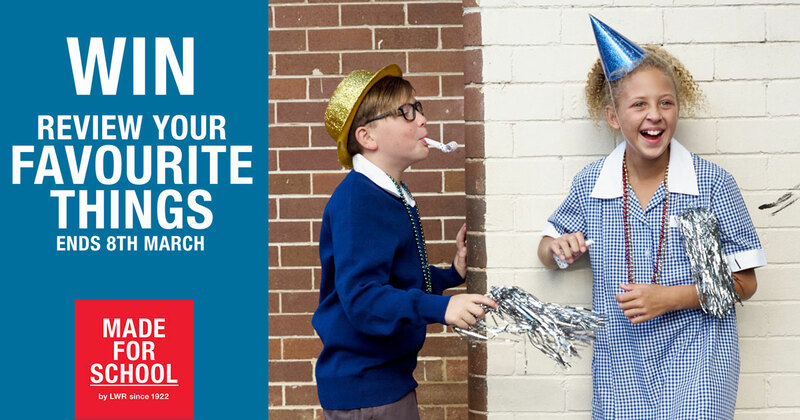 Head over and log in, we can’t wait to hear why you think Made For School products are simply the best Australian School Uniforms Online. Keep your cool all day in our premium moisture management cotton back Matson polo. 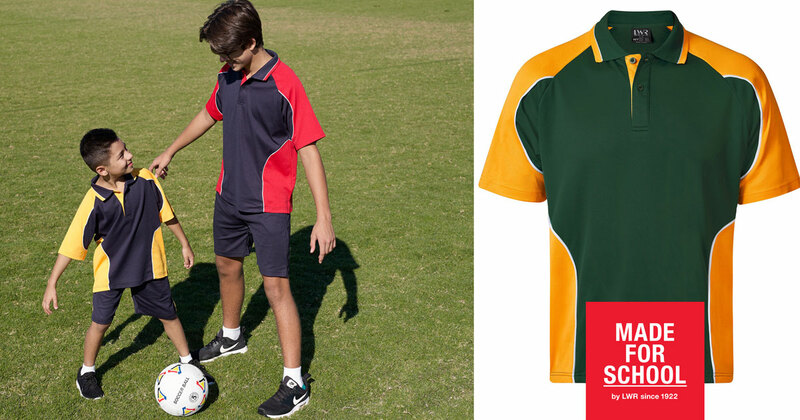 Check out our range of School Polo Shirts online and enjoy shopping school uniforms online in your own time. 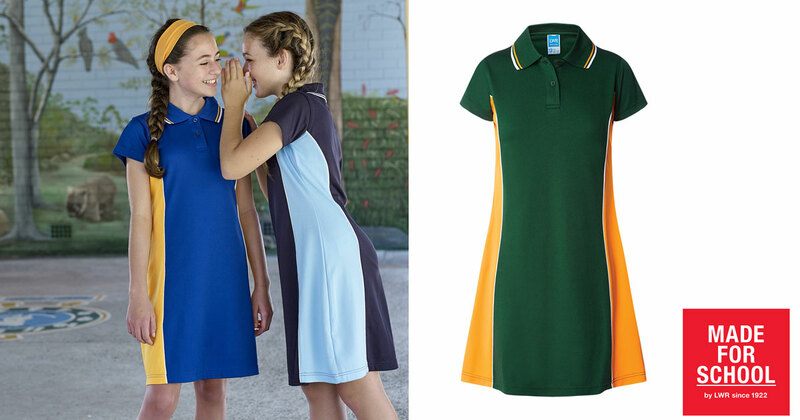 Our Harper Polo Dress is a great sporty option for school dresses. Made from Cotton rich fabric, this polo school dress is designed for all-day comfort and style. Check out girls school uniforms online at Made For School. Rule the school and keep your cool in our cotton back Coates Plain Polo Shirt. Available in sizes 4-12 and in 10 great colours ready to ship to your desk or door! 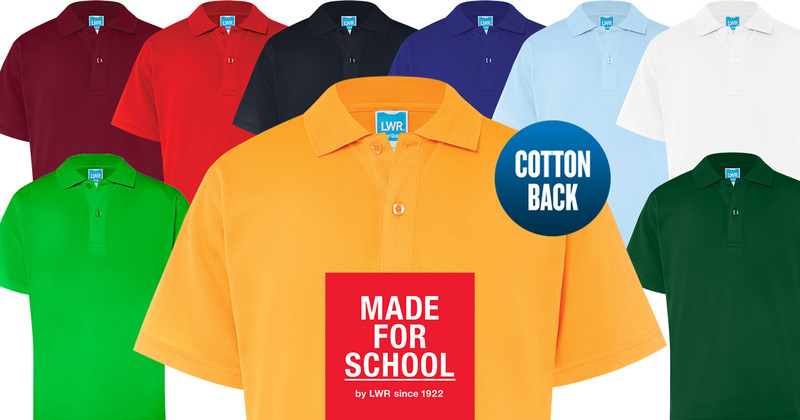 Shop School Polos Online at Made For School.